I remember eating crabapples as a child. The sweet flavor drew me in while the sharp tanginess made my mouth pucker and head shake. The crabapple, also known as the Wickson apple, is becoming increasingly popular in hard cider production. These small apples have a sugar content up to 25% giving the apple its extraordinary sweet taste. 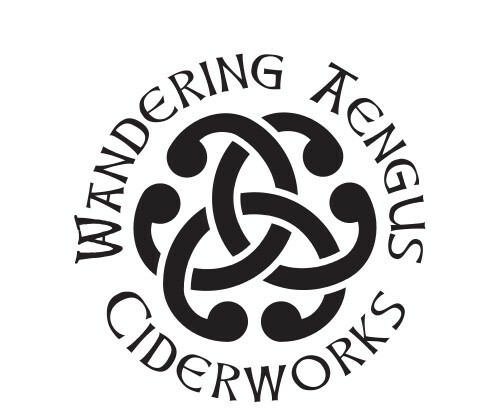 When I came across Wandering Aengus’ Wickson I was intrigued. The cider is 100% wickson apple and the flavors I remembered as a child shines though. A while the cider was a bit sweeter than a semi-sweet it was still a pleasant sipper and a unique and complex taste. A deep golden color with medium bubbles. 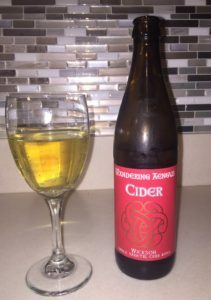 The cider has tart apple aromas and a biting acidity which was nicely balanced by the sweetness of the apple. Flavors of grapefruit also shined through. The body on the cider was very light, but a it had a nice citrus finish which lingered a bit on the tongue. Wine Lovers — Why Drink It? New Zealand Sauvignon Blanc drinkers will love this cider. Like this cider, these NZ sauvignon blancs have similar tart aromas, high acidity and crisp citrus flavors.